In a bizarre turn of events, a Federal Judge issued an order holding the Carnival Triumph in the port of Galveston. The litigation in question relates to a $10M lawsuit brought about by a passenger who sailed on the Costa Concordia in Italy this past January. The Costa Concordia is a vessel operated by Costa Cruises. Carnival Cruise Lines and Costa Cruises are both part of a global organization called Carnival Corporation & plc, however, the two cruise lines operate completely independently. Port of Galveston Director Mike Mierzwa recommended passengers continue on with plans to sail today in the event Carnival can resolve legal issues. A federal judge Friday ordered the cruise ship held in Galveston as part a $10 million lawsuit filed by the family of a German tourist who died aboard the Costa Concordia shipwreck off the Italian coast, according to Bloomberg news service. The Triumph apparently was ordered held because it is home-ported in Galveston, which is in the U.S. District Court system's Southern District of Texas. It was not clear why the litigation was filed in Texas rather than in some other federal district. “The court finds that the conditions for an attachment of defendants’ joint and collective property within this district, mainly the MS Carnival Triumph, appear to exist upon an admiralty and maritime claim,” U.S. Magistrate Judge John Froeschner of Galveston said in the warrant, Bloomberg reports. The Carnival Triumph would be allowed to unload passengers and cargo and move between berths within the port until a “prompt hearing” can be scheduled, at which “the plaintiff shall be required to show why the attachment and garnishment should not be vacated,” according to the order, Bloomberg reports. "We want to assure you that we are working diligently through the appropriate legal channels to get this matter resolved as soon as possible. We are optimistic the issues regarding the Carnival Triumph will be resolved and the ship will depart on its scheduled voyage later today. In the meantime, we are proceeding with our normal embarkation process." Carnival Triumph is scheduled to depart at 6 PM local time on a five-day cruise to Yucatan and Cozumel. According to John Heald, the safety briefing has been held and the U.S. Marshall's should be clearing the ship for an on-time departure. 2012 continues to be an abnormal year for the cruise industry. We will do our best to bring you the latest news, so we do hope you bookmark this blog and also become fans on our Facebook Page. Monarch of the Seas, will be leaving the Royal Caribbean fleet to sail for sister line Pullmantur. Tue ship is the oldest in the fleet, having sailed its maiden voyage in November, 1991. It will continue sailing 3 & 4-night Bahamas cruises thru it's final 3-night voyage March 29, 2013. The ship currently sails from Port Canaveral in Florida. The 2,390-passenger, 73,941-ton ship will enter service for Pullmantur after a significant refurbishment. It will join its sister ship Sovereign (formerly Royal Caribbean's Sovereign of the Seas), which transferred over in 2008. Gonzalo Chico Barbier, president and CEO of Pullmantur said "The transfer of Monarch of the Seas will reinforce Pullmantur in our Latin American growth strategy, and help us become one of the most widely recognized brands." Cruisers on the West Coast will remember Monarch as a main-stay serving San Diego with short weekend cruises to Ensenada, Mexico and Baja California. Many Crown & Anchor members frequently the ship which served as a training ground for crew members. 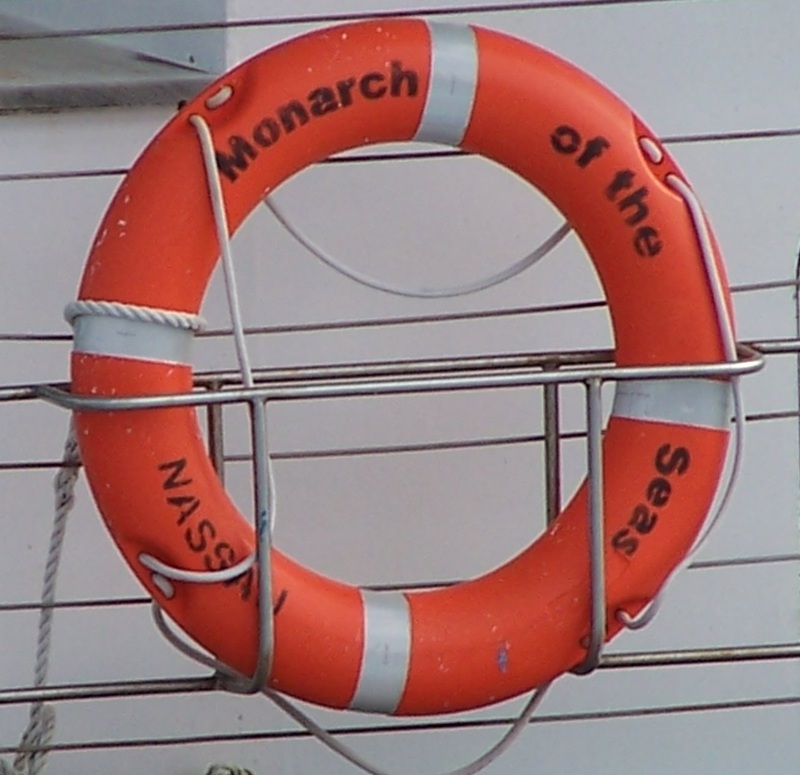 Often the Monarch was the first ship to try something new, so it was a favorite ship of those travelers. It will certainly be missed by those that have fond memories of cruises gone by. Azamara Club Cruises is reporting an engine fire broke out on March 30, at approximately 8:19 PM (8:19 AM EST) ship time. The fire was contained to the engine room and was quickly extinguished. There were no injuries of guests reported and the atmosphere aboard is calm. However, in an abundance of caution, the Captain initially mustered all guests at their assembly stations. Engineers onboard Azamara Quest have restored power to one of the ship’s engines. This additional power has permitted the ship to reestablish air conditioning, running water, plumbing, refrigeration and food preparation onboard for the comfort of our guests and crew. While the ship does not have propulsion capabilities at this time, it is in the process of being repaired. Azamara Quest is still located 200 miles off the coast of Balikpapan (Borneo), Indonesia, in calm seas. Azamara Quest is currently on a 17-night sailing that departed Hong Kong, China, on Monday, March 26, and includes port calls to Manila, Philippines; Balikpapan (Borneo), Palapo (Sulawesi), Benoa Bali, Semarang and Komodo, Indonesia and concludes in Singapore on Thursday, April 12. April 17, 2012, 5:00 pm E.S.T. Guests who have any additional questions regarding Azamara Quest may call toll free 1.888.829.4050 from the United States and Canada. Guests outside the United States may call direct or collect to 1.408.916.9001. Azamara Club Cruises reports: "We are pleased to report that the condition of the Azamara Quest crew member that was more severely injured continues to improve. Our thoughts and prayers continue to be with our crew member and his family. Azamara Club Cruises would like to thank everyone for their thoughtfulness and concern regarding our injured crew member." April 11, 2012, 10:30 a.m. E.S.T. Azamara Quest arrived in Singapore ahead of schedule, and the repairs to the damage caused by the engine room fire are proceeding as planned. We continue to be pleased with the progress that has been made on the ship, and are on schedule to complete the necessary work before Azamara Quest’s next scheduled sailing from Mumbai (Bombay), India on Tuesday, April 24. April 4, 2012, 2:00 p.m. E.S.T. Since Sunday, April 1, Azamara Quest has remained in Sandakan while teams onboard assessed the damage caused by the engine fire, and gather the necessary information in order to make a decision regarding the next voyage. Assessment such as these can be complicated, and all facts must be gathered before a decision can be reached. Unfortunately, due to the time needed to repair the damage caused by the fire, it is necessary to cancel Azamara Quest’s next voyage, which was scheduled to depart Singapore on April 12. "We do not take any decision that impacts our guests’ vacations lightly, and are deeply sorry that this unexpected development has affected those guests’ upcoming vacation." said Azamara's statement. They will be notifying impacted guests directly or through their travel agents. April 3, 2012, 5:30 p.m. E.S.T. A team of engineers continues to assess the situation onboard Azamara Quest and gather the necessary information in order to make a decision regarding the next voyage. The official statement indicates that they don't take a decision that impacts guests vacation plans lightly. Meanwhile, all passengers have left for Singapore onboard five chartered planes. They will continue their vacation in hotels arranged by the cruise line. April 2, 2012, 5:00 p.m. E.S.T. Teams onboard Azamara Quest continue to assess the damage caused by the engine fire. Azamara officials anticipate receiving a full assessment late this evening that will provide them with sufficient information to make a decision regarding the next voyage. April 1, 2012, 10:30 a.m. E.S.T. Azamara Quest arrived at Sandakan (Sabah), Malaysia, on April 1, 2012, at approximately 9:23 p.m. local time.The seriously injured crew member was transferred to the hospital. Guests have the option of staying on the vessel, which has no air conditioning at present, or be transferred to Singapore where they can continue their vacation in hotels that are being set up. Cruise Critic members who were onboard, have posted about their experiences. They indicate that it was a serious situation and that there was some confusion, especially with smoke filling parts of the ship forcing them to muster in other areas. One member writes that the food was basic due to the limited power. While at the muster station, they had asked the Chef what they would be eating the rest of the cruise. The chef replied " smoked fish, smoked chicken and smoked beef". They commented that the comic sense of humor was appreciated by the passengers. March 31, 2012, 9:30 a.m. E.S.T. Engineers onboard Azamara Quest have been able to restore propulsion to the ship. Azamara Quest is currently sailing directly to Sandakan (Sabah), Malaysia at between three to six knots. Based on this speed, the ship is expected to arrive in Sandakan within 24 to 48 hours. Engineers onboard Azamara Quest continue to work on restoring propulsion to the ship. Once they have restored the ship’s propulsion, Azamara Quest will sail directly to Sandakan (Sabah), Malaysia. When propulsion has been restored to the ship, Azamara will be able to provide an estimated time of arrival. Until then, they will be working with our guests to determine how to best assist them with next steps and travel arrangements. The damage caused by the fire will require the cancellation of the rest of Azamara Quest’s voyage once the ship arrives in Sandakan. Guests on the April 12, 2012, sailing of Azamara Quest are encouraged to monitor Azamara Club Cruises' Facebook Page or website on Monday, April 2 for an update on their voyage. 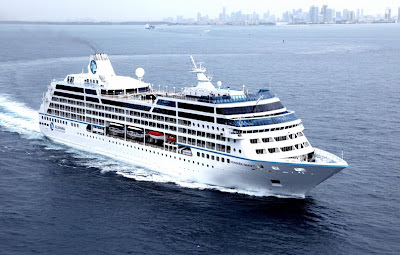 Azamara is offering guests on the stricken ship a full refund for the cruise and a certificate for a future cruise worth 100% of the cruise fare paid for their March 26, 2012, Azamara Quest sailing. We will continue to monitor this developing story. We are happy to hear no guests were injured in this accident, and hope for the speedy recovery of the injured crew members. 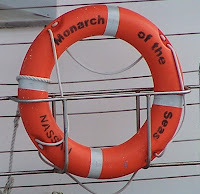 Safety of guests and crew are of utmost concern to cruise lines. Fire is the biggest danger on a ship and crews train on a regular basis. It would appear that the training paid off here, as the fire was contained to the engine room and quickly extinguished. Celebrity Silhouette – honored with a Gold award for "Best Premium Ship" in Travel Weekly's annual Magellan Awards, and the first to enhance Celebrity's industry-first Lawn Club with The Lawn Club Grill, The Porch, The Alcoves and the Art Studio – will offer a blend of 10- to 13-night roundtrip sailings from romantic Venice, as well as voyages to and from Venice and/or Rome. With one to two days at sea on each sailing, the itineraries were expressly designed to offer a destination-rich vacation, including towns along the Adriatic coast, as well as multiple locations in Greece and Turkey. Celebrity Equinox – named "Best Overall" in the discerning Cruise Critic's Cruisers' Choice Awards (North America), and one of three Solstice Class ships to mesmerize guests with The Hot Glass Show offered in association with The Corning Museum of Glass – will present a full season of 12-night sailings roundtrip from Barcelona, Spain, with the majority of the cruises featuring visits to Florence (Livorno), Naples and Adriatic ports, in addition to an overnight stay in Venice. The ship's alternating itineraries include visits to Naples, Athens, Ephesus (Kusadasi), the Greek Isles and Valletta, Malta. Celebrity Reflection – which sets sail in October of this year, complete with the brand's first "Signature Suites" and jaw-dropping, two-bedroom "Reflection Suite," complete with a sea-view bathroom extending out over the edge of the ship, a veranda tub with soothing rain shower, and panoramic views courtesy of the wraparound veranda – will present a full season of 10- and 11-night sailings roundtrip from Rome. The 10-night itinerary features visits to Sicily, Italy; Athens, Greece and the Greek Isles, and Kusadasi, Turkey, while the 11-night sailing also features an overnight stay in Istanbul. Celebrity Constellation – featuring guest-favorite enhancements incorporated in the line's Solsticizing initiative, including the Tuscan Grille specialty restaurant, Cellar Masters wine bar and Café al Bacio and Gelateria, among other venues and, by Spring of 2013, new AquaClass accommodations with exclusive access to the Mediterranean specialty restaurant, Blu – from May through August 2013 will present seven Scandinavia/Russia cruises, an Arctic Circle voyage and a Norwegian Fjords sailing, all roundtrip from Amsterdam. Then, from Istanbul, the ship will set sail on two new 12-night Black Sea & Greek Isles sailings, highlighted by an overnight stay in Odessa, Ukraine; visits to Sevastopol and Yalta, Ukraine, and Celebrity's first visit to Varna, Bulgaria. Celebrity Constellation will round out her summer season with four 12-night Greek Isles & Turkey voyages, all roundtrip from Istanbul. Independence is seasonally dedicated to Europe giving you more options for a summer vacation abroad. This Freedom class ship provides you with some of our most exciting signature features like the FlowRider® surf simulator, a rock climbing wall, ice-skating rink, cantilevered whirlpools, Royal Promenade, mini golf course, and much more! Adventure is seasonally dedicated to Europe giving you more options for a summer vacation abroad. This Voyager class ship is packed with all the action of our signature innovations—and plenty of time for relaxation, fine dining, and beautiful ocean views. 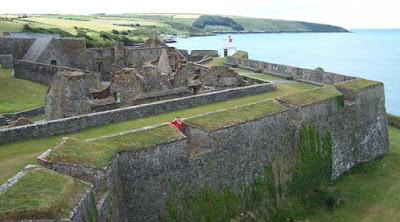 Guests can climb a rock wall that overlooks the sea, or challenge themselves on the basketball court, ice-skating rink or mini-golf course. Amalie, St. Thomas • Philipsburg, St.
the Viking Longships are here! As we reported in our Viking River Cruises Longships Update, two of the ships are still under construction and will debut mid-April. (March 21, 2012) Garlands of red & white balloons, what seemed like acres of red carpet, some fireworks, a pirouetting fireboat spraying water jets & a tenor belting out "Nessun Dorma" before a crowd of 600... the Viking Longships are here! 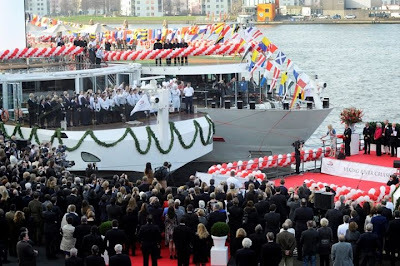 The Viking River Cruises launch of four ships during a single ceremony, breaks the previous record for multiple and simultaneous christenings (three), which it also held. Viking Odin and Viking Idun, were named in Amsterdam and two, Viking Freya and Viking Njord, by live video link at the yard in Rostock, where they're being finished off for a mid-April debut. 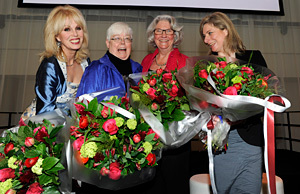 Four godmothers cut scarlet ribbons and four bottles of Veuve Cliquot, two in Amsterdam and two in Rostock, smashed to cheers of a 600-strong crowd gathered in Amsterdam under dazzling sunshine. Joanna Lumley (left), star of "Absolutely Fabulous," christened Viking Odin, a ship named after the chief god of Norse mythology. "I've never been godmother to a god before," she told the delighted crowd. Gail Wiswedel (second from left), who named Viking Njord, was chosen because she's Viking's most travelled customer, having notched up 11 cruises (which goes to show how young river cruising really is, given that plenty of ocean-going passengers would consider nothing less than 30 as an impressive total). Dr Lisa Randall (third from left), Viking Idun's godmother, is a respected theoretical physicist, a subject close to the heart of Viking's Norwegian founder, Torstein Hagen, who himself holds a degree in nuclear physics. Award-winning TV producer Rebecca Eaton, who served as godmother for Viking Freya, heads up "Masterpiece Theatre," a company sponsored by Viking. Shipbuilding is filled with tradition. Wine poured upon the deck before a long voyage represents a libation to the gods which will bring good luck. "Christening" a ship by breaking a bottle of champagne across her bow at the time of launching arose from this practice. 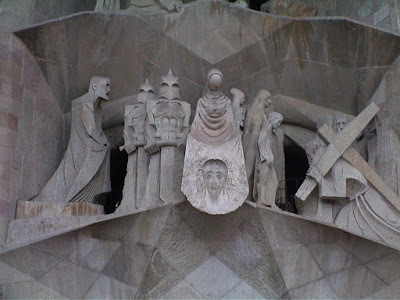 Read more about Nautical Superstitions & Legends. More Pictures: Introducing the Viking Longships! Where Northern Europe vacation dreams become a reality. Celebrity Infinity – the second of four Millennium Class ships to complete Celebrity's ambitious, $140-million 'Solsticizing' initiative, incorporating a host of guest-favorite venues and experiences from the Solstice Class, such as the hip Celebrity iLounge, the eclectic Qsine specialty restaurant, and AquaClass accommodations with exclusive access to the Mediterranean specialty restaurant, Blu – will make her European debut in 2013, offering new 10- and 11-night British Isles, Norwegian Fjords and Iceland & Fjords itineraries roundtrip from Harwich, England. Celebrity Eclipse – named "Best from the UK" in Cruise Critic's Cruisers' Choice Awards (UK), and the first ship to debut the hip Celebrity iLounge and the eclectic Qsine specialty restaurant – will continue to offer a mix of distinct 14-night Mediterranean, Scandinavia/Russia, Iceland/Norwegian Fjords and Canary Islands/Azores holidays roundtrip from Southampton. The sleek, 2,850-guest flagship of the Solstice Class fleet, Celebrity Solstice – named "Best Premium Ship" in Travel Weekly's annual Readers' Choice Awards (US) – will become the first of its class to offer vacations in Alaska in the summer of 2013, joining Celebrity Century and Celebrity Millennium in pairing Celebrity's chic style and design, signature cuisine, exciting activities and extraordinary service with the region's breathtaking, inspiring scenery. Many destinations promise visitors the chance to "step back into history." The Galapagos Islands perhaps best exemplifies that promise, as Celebrity Cruises take you to a destination that helped shape one of the world's leading scientific doctrines, Charles Darwin's theory of evolution. Your Galapagos Islands cruise onboard Celebrity Xpedition includes nearly everything you need to relax and enjoy one of the world’s most pristine environments. 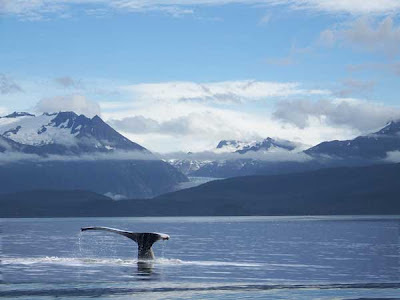 • All shore excursions, with choices of activity levels and locations. • Pre- and post-cruise hotel accommodations and tours on 10 or more night packages. • Air to/from Quito and Baltra on 10 or more night packages. • All transfers on 10 or more night packages. • Park entrance fees and Galapagos Tourist Card fees. • All meals, including room service and in-stateroom dining during meal hours. • All snorkeling equipment, including masks, snorkels, fins, wet-suits and snorkeling vests. 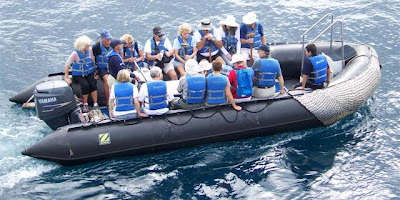 • All onboard briefings and lectures led by Xpedition expert naturalists. • Scuba diving (where available). • Select high-end liquors, apéritifs and wines. There is no place on Earth quite like the Galapagos Islands, and no better way to experience all that this incredible archipelago has to offer than with Celebrity Cruises. In fact, they are the only major cruise line to travel to these enchanting islands. They combine up-close glimpses of some of the world’s rarest wildlife with generous amounts of the good life onboard. These cruises take place year-round so you can choose the time of year that feels just perfect for escaping to a tropical hideaway. Celebrity Cruises offers an environmentally conscious vacation that will leave you feeling connected with the incredible creatures we share the world with. A newly renovated ship, Radiance of the Seas offers 8 new dining options. From fabulous margaritas at Rita’s Cantina to family-style Italian at Giovanni’s to the Boardwalk Doghouse, there’s something for every craving. 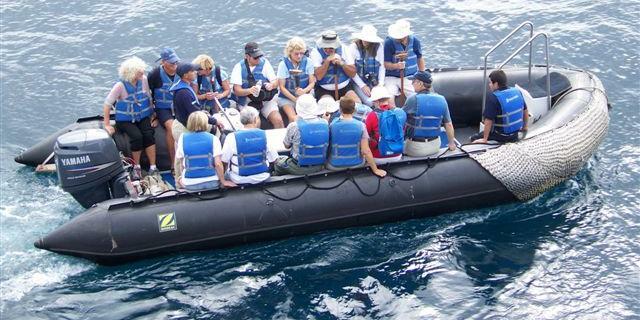 Enhance your adventure with a Cruisetour excursion, which can vary from three to six nights, and include an expert Adventure Specialist to guide you for the entire land portion of your vacation. A newly renovated ship, Rhapsody of the Seas offers new dining options, like Royal Caribbean's signature steakhouse, Chops Grille or the intimate dining experience, Chef’s Table. Crown and Anchor® Society guests can take advantage of a new Concierge Club and Diamond Club. You will have access to signature Royal Caribbean features like a rock climbing wall and a glass-canopied Solarium adults-only pool as well as new enhancements like the Royal Babies and Tots® Nursery program. Guests will also enjoy technology upgrades like Digital Wayfinders and Wi-fi throughout the entire ship, including staterooms! Princess Cruises, who's parent company, Carnival Corporation, has been in the news all year, has issued a statement that Caribbean Princess has experienced a problem with her port propulsion motor during its current sailing. It has been determined that the ship's current sailing must be canceled to allow for repairs. The ship has returned to San Juan where the repairs will take place. All passengers will be able to stay onboard through Sunday, to enjoy an extended visit to San Juan, until their previously scheduled flights home. Caribbean Princess was sailing on a seven-day Southern Caribbean voyage from San Juan, which departed March 11. The ship was scheduled to call in St. Maarten, St. Lucia, Grenada, Bonaire, and Aruba before returning to San Juan on Sunday, March 18. Passengers will receive a full refund of the cruise fare plus a future cruise credit equal to 25% of the cruise fare paid on this voyage. Further information will be communicated to passengers onboard. If you read the cruise contract, you'll notice that skipping a port doesn't entitle passengers to any compensation, but Princess Cruises has announced the compensation plan above. An extended stay in San Juan isn't what the passengers had signed up for, so the refunds seem to be the right thing to do. At this time it is unknown how the repair process may impact the ship's next sailing, departing March 18. Princess Cruises will communicate any impact to the next voyage as soon as information is available and impacted passengers and their agents will be notified. UPDATE: After further review by technical experts, Princess Cruises has confirmed the full extent of the damage to the motor. They now know the time and work required to make the repairs and have had to cancel the next two voyages, departing March 18 and March 25. Passengers booked on these sailings will receive a full refund as well as a 25% credit towards a future cruise. Those who booked their flights through Princess will receive a full refund or a future air credit based on the type of air purchased. Passengers who booked their air independently can submit their air change fees to Princess for a refund. Princess will also refund any transfers, pre- and post-hotel packages and government fees and taxes. There never is a good time to have mechanical problems, but this is probably one of the worst times for this to occur. This is Spring Break time, where the ships are full of passengers who have longed for the time off from school to take to the oceans and other warm destinations. It will be interesting to see how the non-cruise media spins this story. Reality is that ships are full of all kinds of mechanical parts, and everyone knows that they can break, and usually they break at the wrong time. Just ask a "road warrior" how many times they were delayed due to mechanical problems with an airplane. The difference is, odds are there's a spare plane or spare parts not far away, and usually you can be on your way after a short delay. That's not the case with a cruise ship - there aren't any spare ships waiting around to come to the rescue of their sister-ship. Let's hope that the repairs can be done quickly so that there isn't any further impact on the cruise schedule for Caribbean Princess.